The deal will run until the end of this month and it will also include a single FandangoNow digital movie rental for free. The G3 gaming laptop is Dell's entry-level gaming system equipped with GTX 1050 and 1050 Ti options ranging from $700 to $1000 USD. Dell has been riding the Marvel wave through cross promotions ever since last year's Spider-Man: Homecoming. Eagle-eyed moviegoers may have noticed that the Inspiron laptop had a small cameo during the movie while Tom Holland himself attended Dell's CES 2017 press event in Las Vegas to promote the film. 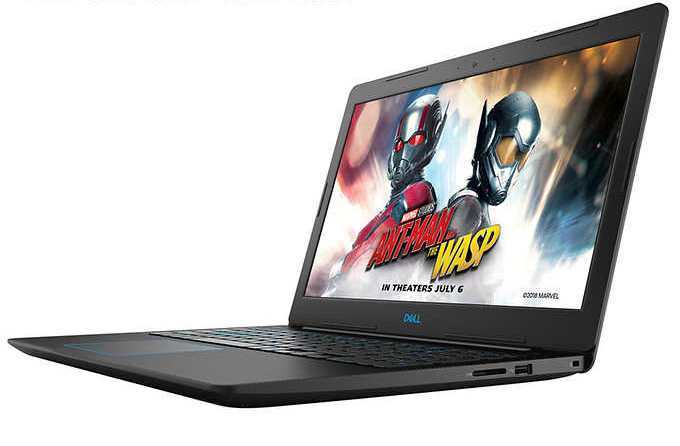 The partnership between Dell and Marvel has continued to this year's Ant Man and the Wasp. Both Paul Rudd and Evangeline Lilly made video appearances during Dell's CES 2018 press conference this year and now that the movie is out in theaters, select retailers like Microsoft and Costco will be throwing in one free movie ticket with every purchase of a G3 15, G3 17, G5 15, G7 15, or Inspiron gaming laptop. The ticket will be worth up to $13 USD and it must be redeemed on Fandango through the following link here. This particular promotion is more of a small gesture rather than a huge marketing deal designed to attract more buyers. For example, we'd much rather see $100 USD off or more from the sticker price instead of a free movie ticket. Furthermore, it seems a bit shortsighted to give just a single ticket since most moviegoers prefer to watch in pairs or more. See our review on the G5 laptop for more information on the series. Our G3 17 review will be coming up in a few weeks as well.